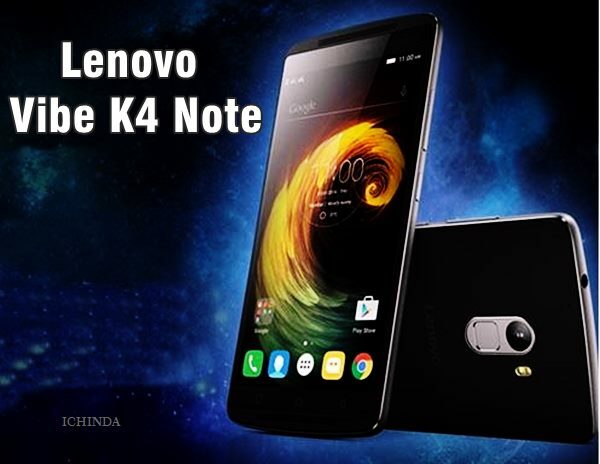 Chines smartphone and PC manufacturer, Lenovo has launched the worthy successor of it’s best seeling smartphone, Lenovo K3 Note(Rs 9,999) as Lenovo Vibe K4 Note on 5th Jan. 2016 priced at Rs 11,999 and Rs 12,499 with VR headset which will go on sale from 19th January 2016 online through Amazon in Tuxedo Black colour option. The pre-registration begins from Tuesday, 5th Jan. 2015. It will take Xiaomi Redmi Note 3. The all new Lenovo Vibe K4 Note supports Dual-SIM((4G+3G)), Micro SIM, NFC and Finger Print Scanner, sports dual-front speakers, Dolby Atmos audio Bluetooth 4.0, Micro-USB, Wi-Fi , GPS, and a 3.5mm will offer you a 5.5-inch Full HD IPS (1920 x 1080 pixels) display with Gorilla Glass 4 protection with 360 degree wide angle view perfect for watching movies, playing games and reading e-books. Lenovo Vibe K4 Note runs on latest Android 5.1 Lollipop OS powered by a powerful 64 Bit, 1.3GHz, Octa-Core MediaTek MT6753 SoC processor with 3GB RAM promising you blazing multitasking experience while 16GB internal memory and 128GB Expandable memory offers of huge space to store your favourite music and games. Lenovo Vibe K4 Note sporting a 13-MP rear Auto focus camera with LED Flash, Sony IMX135 CMOS Sensor which gives your best ever photography experience while 5-MP front facing camera perfect for clicking selfies and video calling this is not enough it also powered by a powerful 3300mAh Li-Po battery promising talk time up to 22 hours on 3G and up to 256 hours 3G standby time measures 153.60 x 76.50 x 9.10mm and weight is 158gm. Lenovo recently launched Lenovo A7000 Plus in China and Lenovo Vibe P1, Lenovo Vibe P1m and Lenovo Vibe S1 in India soon going to launch Lenovo 7010 and Lenovo K5 Note. At last few honest word to say that Lenovo Vibe K4 Note is the best mid-range smartphone . What you think? Please be open to give your view.